While the dramatic dispute over the community’s tangible heritage plays out, the New York Times news pages have been more subtly scraping away at Iraqi Jewish history, with a pair of recent stories that erased the severe persecution that drove the country’s Jews from their homes. Was Iraq Hospitable Until 1967? First, in an otherwise interesting piece last September by Jerusalem bureau chief David Halbfinger about the friendly relationship between Israel and Iraqi Kurdistan, readers were informed that Iraq became inhospitable to Jews only after the Arab-Israeli war of 1967 — or in other words, that it had been hospitable before that point. 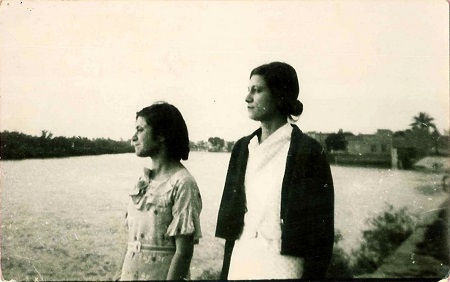 Two Iraqi Jewish women (including the author’s grandmother) gaze at the Tigris River in Baghdad. Conditions for Jews in modern Iraq took a turn for the worse in the 1930s when, influenced by the Nazis, the country enacted restrictive laws, barred Jewish students from schools, and dismissed Jews from certain jobs. In 1941, a brutal anti-Jewish massacre in Baghdad known as the farhud claimed about 200 lives and shattered the community’s sense of security. And in the early 1950s, nearly all of the country’s Jews escaped the intolerable conditions there. Times editors have stood by the article, insisting in an email to CAMERA that it would not create any misimpression. Was Kurdistan a Bastion of Co-Existance? Amadiya’s Jews all left after the creation of Israel in 1948. It would be easy to say that part of the secret of Amadiya’s harmony is simply that most of the other faiths have now left town, though some Jews have visited recently to help restore Hazana’s tomb and to pray there. But locals insist that would be unfair. To be sure, there were plenty of friendships between Jews and Muslims in Iraq, and it might be expected that such friendships were particularly prevalent with Kurdish Muslims who have maintained a uniquely friendly relationship with the Jews and the Jewish state. But The New York Times ignores an essential part of the story. oppression became slightly less merciless, until another war in the second half of the 1800s brought more Muslim attacks on the town’s Jews. In just over a century, the Jewish population wasted away from 200 households in 1828 to 300 individuals in 1947. Along with their particular challenges, meanwhile, the Jews of Kurdistan had to contend with the central government’s persecution and incitement during the 1930s and 40s, and would suffer the same exile as the rest of the Iraqi Jewish community. After all, the Iraqi prime minister who insisted the country should get rid of its Jews as they “have always been a source of evil and harm” was the prime minister of the entire state, Kurdish areas included. But in this New York Times piece, which repeatedly cites harmonious coexistence for Jews, there is not a word about persecution. Neither of the newspaper’s recent articles mentions that Jews were forced out, that they fled Nazi-inspired laws, or that they abandoned their homes and everything they owned to escape anti-Semitic persecution. Instead, they just “left.” They “departed.” Inexplicably. For whatever reason, otherwise plain-spoken journalists seem tempted to downplay the persecution of Jews in the Arab world. Not all of them, of course. A pair of New York Times reporters, for example, were more forthright about anti-Jewish activity in a 2016 piece about Iraqi Jews. But consider the BBC story that focused on “an easy, happy life” for Iraqi Jews, who “emigrated” as part of a “religious journey.” Only after a protracted complaint by CAMERA did the BBC add references to anti-Jewish sentiment, discrimination, and the farhud. A Washington Post graphic about refugees and internally displaced peoples since the Second World War doesn’t view the more than 800,000 Jewish refugees squeezed out of Arab and Muslim countries as deserving of the even the briefest mention. Such is how Arab dispossession of Jews has been downplayed or ignored by journalists. Is it because the story is about dispossession of Jews? Because it is about Arab dispossession? Or because so many of the dispossessed fled to Israel, for which media sympathy is generally scarce? 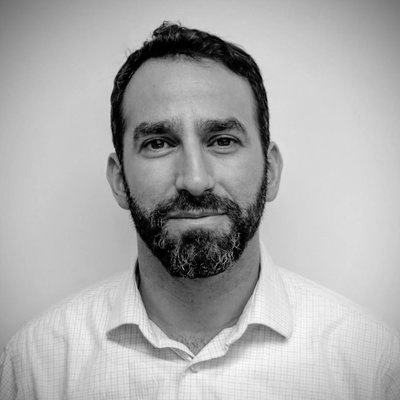 Whatever the reasons, the full experience of Jews from the Arab world has been too often suppressed in mainstream discourse, a trend that continues in the pages of The New York Times.